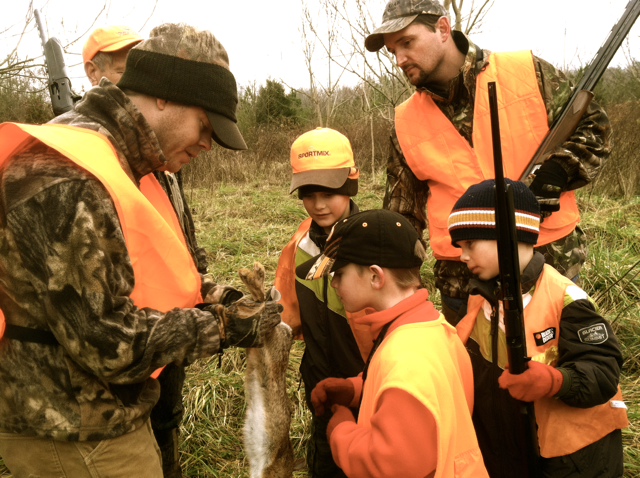 During the holidays we had the opportunity to take a few of our nephews and nieces rabbit hunting. While we were able to take a number of rabbits, the true measure of success for these hunts were the smiles on their faces! 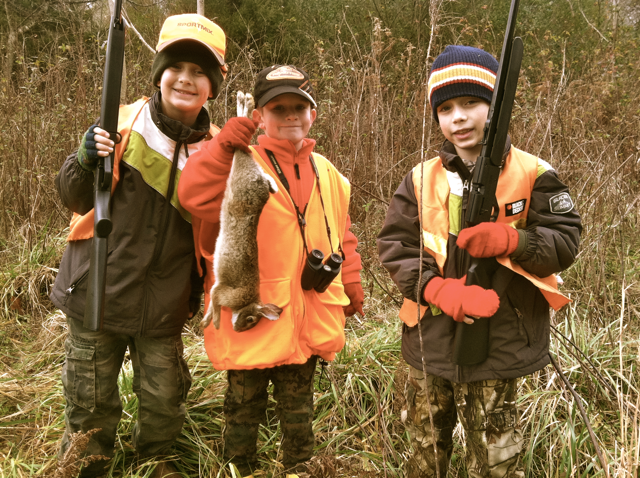 Rabbit hunting is a great way to introduce young kids to the world of hunting. There is typically plenty of action and excitement to keep their attention. 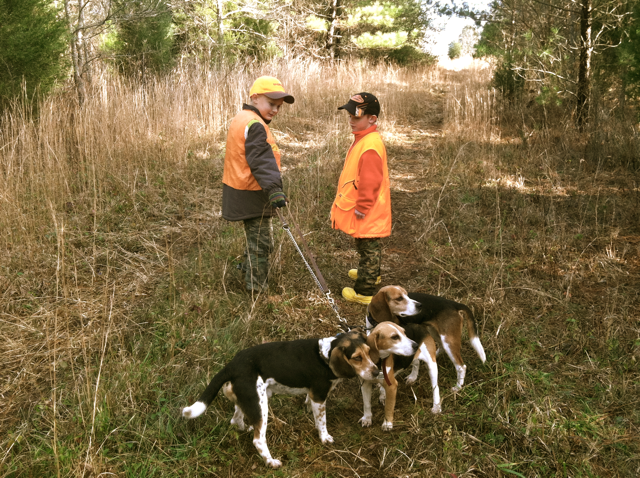 They enjoy the dogs, teamwork, excitement and fun that defines a rabbit hunt. I have found that beagles barking on a hot rabbit track make the hunt easier for kids to follow and understand. There are moments to focus and be quiet as they anticipate the rabbit crossing followed by opportunities to talk, walk around and have fun! 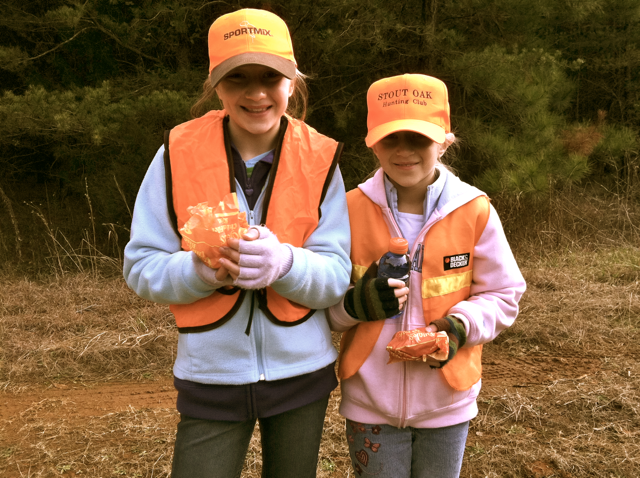 Safety is always the number one consideration when hunting – even more so when kids are involved. Make sure they have on blaze orange and that all hunters take extra precaution to make sure clear and safe shots are taken. Make the hunting trip enjoyable. We pause here to celebrate a rabbit and the boys listen to Uncle Daniel give an account of the kill. Stop and get the kids a snack and a cold drink at the local market. Bojangle’s biscuits start our hunt off right! 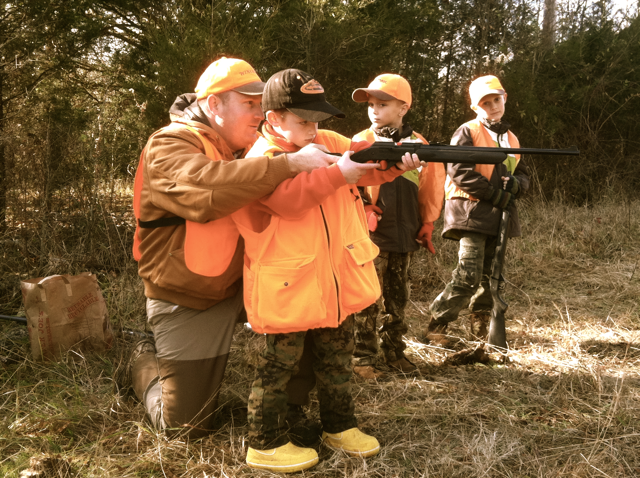 Involve the kids in the hunt. They will enjoy their experience more if you include them at whatever level they are ready to participate. A couple of my nephews lead the beagles in the field. The kids are not quite ready to carry shotguns so we took several breaks during the morning to let them shoot their air rifles at Coke cans. 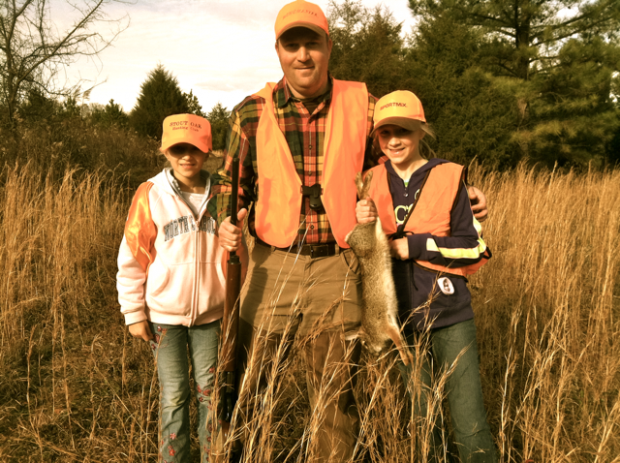 Again, the goal of the hunt is make the experience fun and enjoyable for the kids! Uncle Tim goes over the basics. Wrap the hunt up before the kids lose interest. 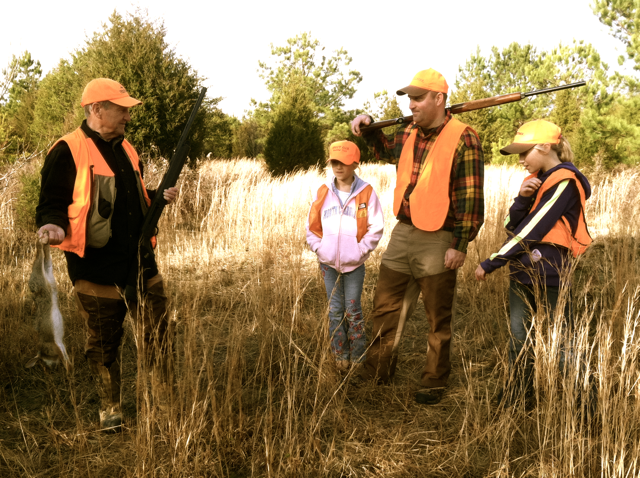 Young hunters do not have the patience and endurance of a seasoned hunter. It’s better to end the hunt early leaving them wanting more, than to drag it on too long and end with them being tired and bored. Make sure you take some kids hunting this winter. 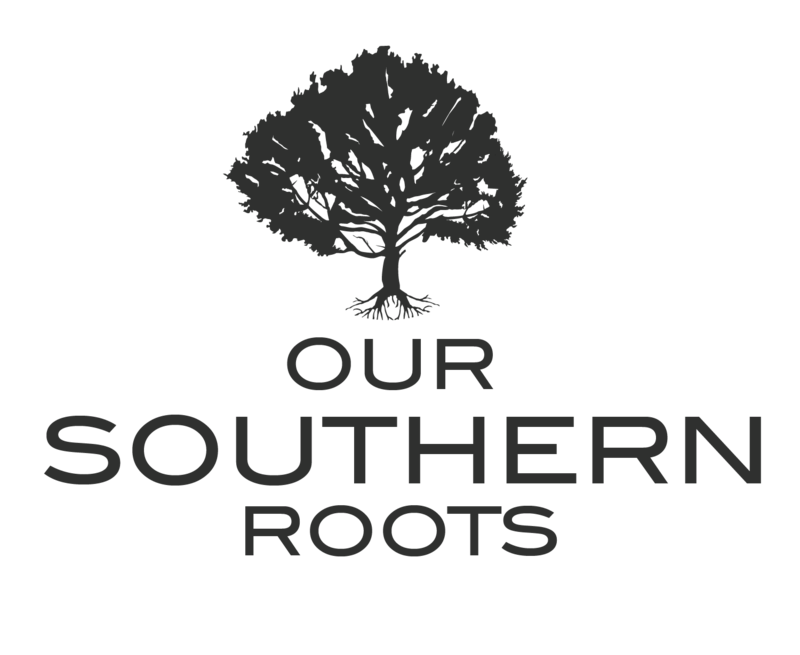 If you don’t have kids, grand kids or nieces / nephews of your own, invite a dad and his kids to join you in the field. We bet you will enjoy the experience as much as they do!